Japan. AD 1626 to 1859. AE Mon. In the name of Emperor Go-Mizuno. 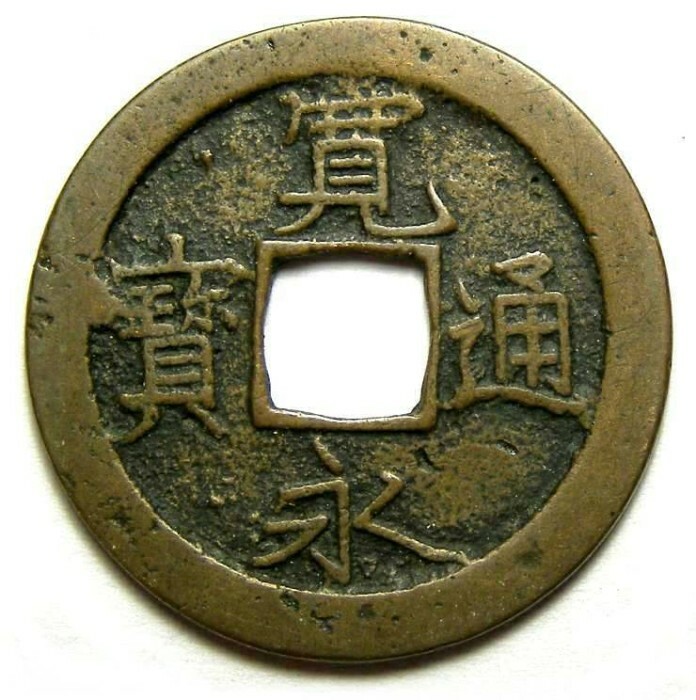 This type of mon was first introduced during the reign of the Emperor Go-Mizuno, and uses his reign title of Kuan-ei, but continued to be cast long after he died. Date : This title was used fom AD 1624 to 1643, with this type of coin introduced in AD 1626, but continued to be cast with this type until about 1859. It is probably not possible to determine when any particular example was actually struck. Denomination : Bronze 1 Mon. Reference : Schjoth - Japan #14. Size : 24.1 mm. Weight : 2.72 grams.